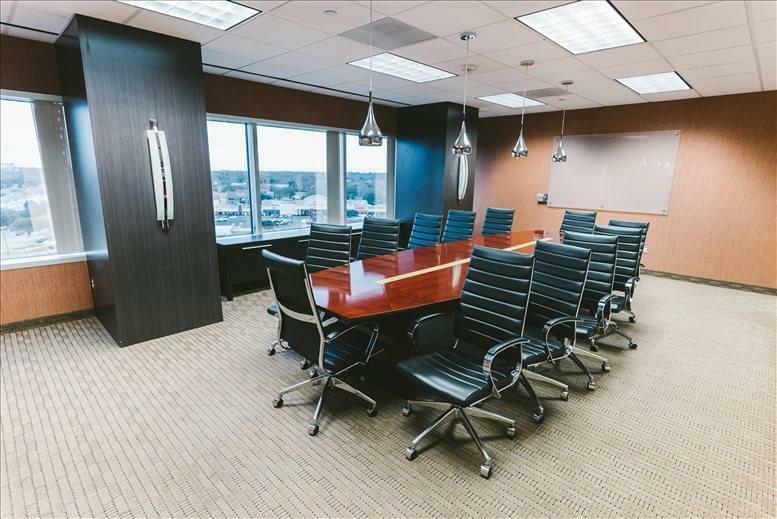 Executive office suites are available at the 16 story Meadow Park Tower office building on North Central Expressway with meeting and conference rooms and first class facilities and support services. 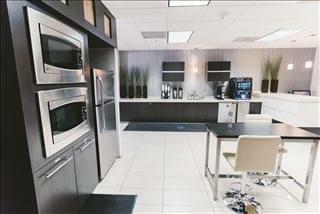 Are you looking for a business center where excellence, finesse, and good business sense are valued as they should be? 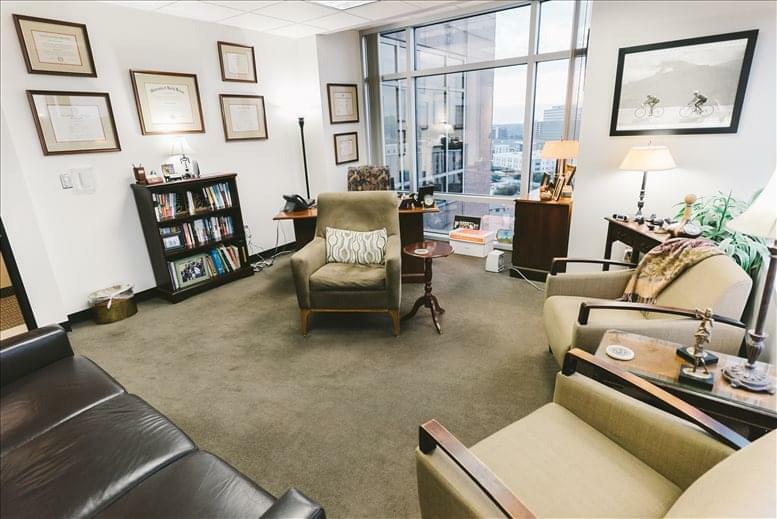 You are looking for the executive office suites at Meadow Park Tower, a premier office tower near Vickery Meadow. 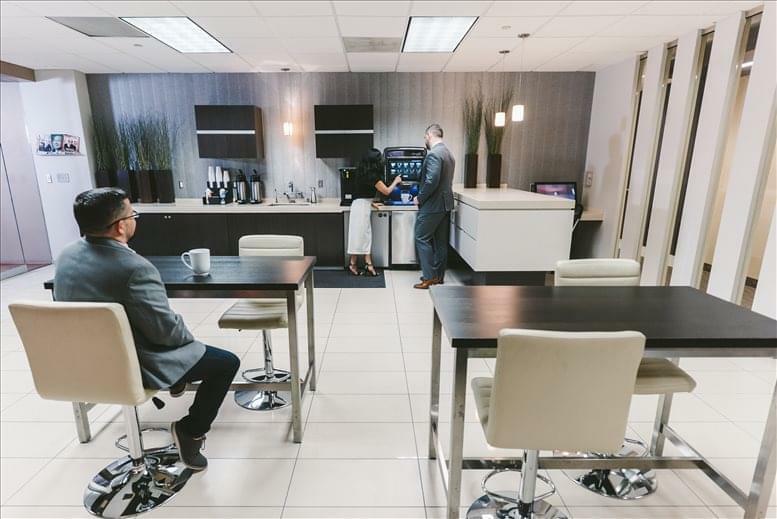 When you witness the outstanding business location and the luxurious accommodations offered here, you will no doubt jump at the chance to become a tenant. 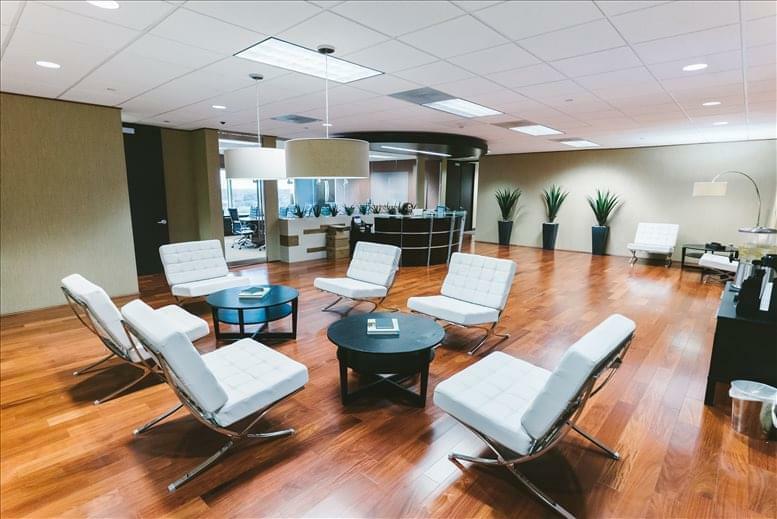 If you are impressed with the prime location of this business center, your jaw will drop when you look inside. 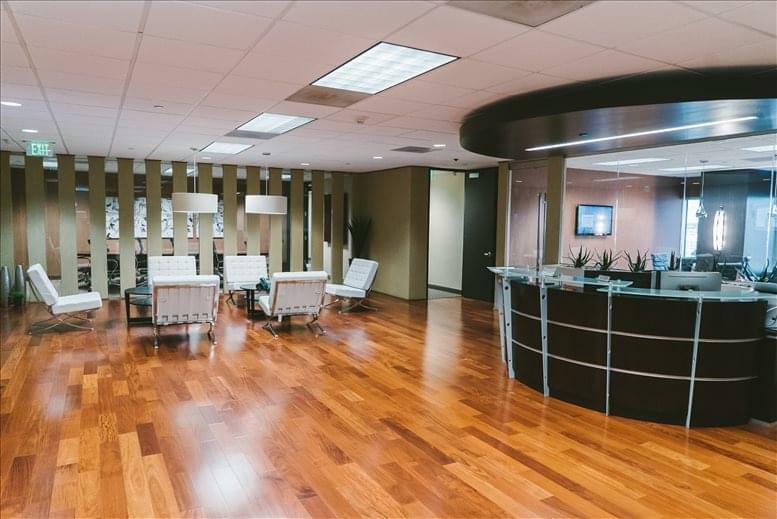 This high-class building is beautifully adorned with a modern professional design. As you enter through the high glass doors, take a moment to appreciate the building's stunning lobby with a stylish waiting area and a gorgeous aquarium. This chic look extends to the premium executive office suites with classy interiors and amazing views from the spacious windows. 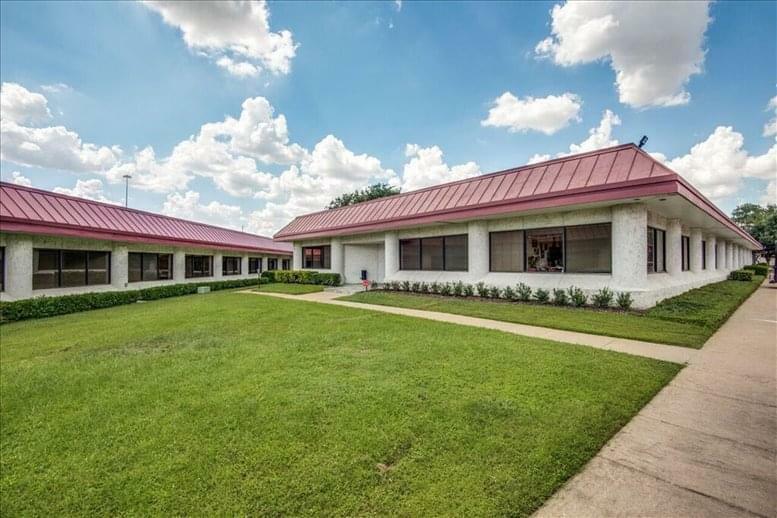 The business center, recently renovated and expanded, boasts a variety of fully furnished office spaces equipped with high-speed internet access and cutting-edge telephone systems. Tenants who rent executive office suites here enjoy not only the spacious and free parking on offer at this establishment, but also access to a full-service kitchen and availability of the building's fully equipped Fitness Center with locker rooms for your added security. The facilities also include multiple meeting rooms, including the boardroom, two conference rooms, and a video conference room for when you want to include an out-of-town associate for that important planning meeting. Want to sample the amazing facilities available here? 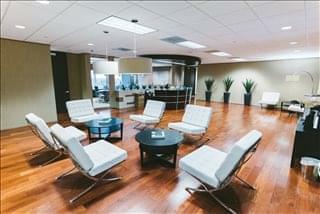 The center also offers On-Demand office suites that can be rented by the hour, half day, or full day. 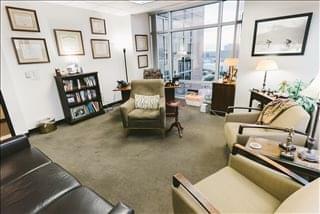 This is a fantastic location to grow your client base, advertise your services, and make connections in the colossal corporate hub that is Dallas. 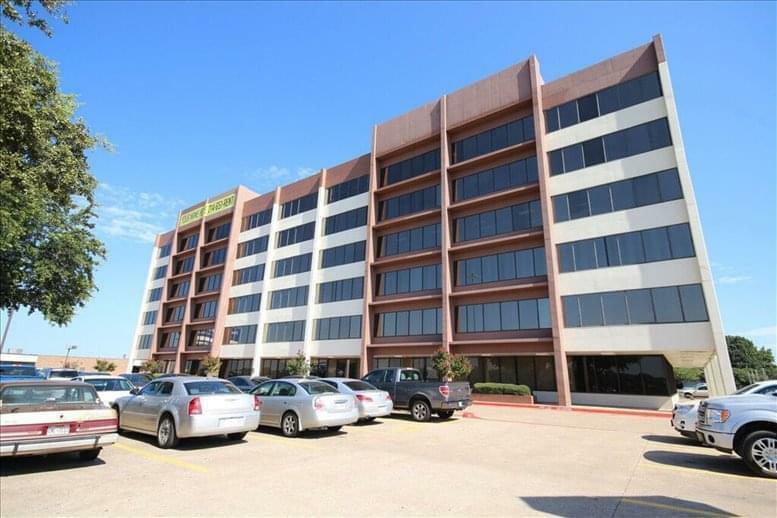 This sixteen-story complex is strategically situated immediately adjacent to US 75, just south of the intersection of Royal Lane and the North Central Expressway. If you are heading downtown, jump on US 75 and it will quickly lead you into the heart of Dallas. 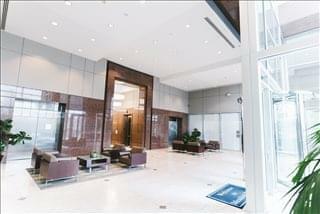 The Meadow Park Tower has immediate connections to Dallas' transportation networks, allowing you an easier commute, a wider radius for your client base, and faster travel throughout the Dallas area and beyond. The mid-cities and the opportunities they afford are just minutes away. Need to economize on your commute? Walnut Hill Station is less than half a mile away, placing the DART transportation systems within easy reach. Have an important flight to catch? You can get to both Dallas Love Field and DFW International in as little as half an hour. Go ahead and wrap things up at the office - you have time. Take advantage of networking opportunities at the selection of nearby country clubs, playing golf while meeting associates that you could do business with in the future. For wining and dining your clients, enjoy a vast variety of restaurants in the area, or for a quick and tasty lunch, drop by the on-site cafe. During the after-hours, there are plenty of nearby shopping centers offering quality retail purchases, and if you need a relaxing place to meet your family or to get in a good workout, take your pick of the many parks in the area, many within just a few miles! 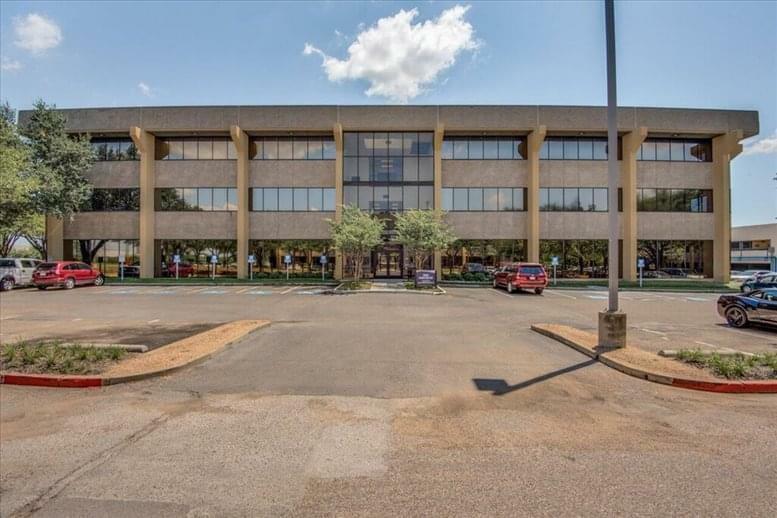 This office space on Meadow Park Tower, 10440 N Central Expy, Dallas is available immediately. Details and prices are available by calling 1-877-693-6433 or by submitting the inquiry form.